The Pigotts are ready for the Super Bowl! 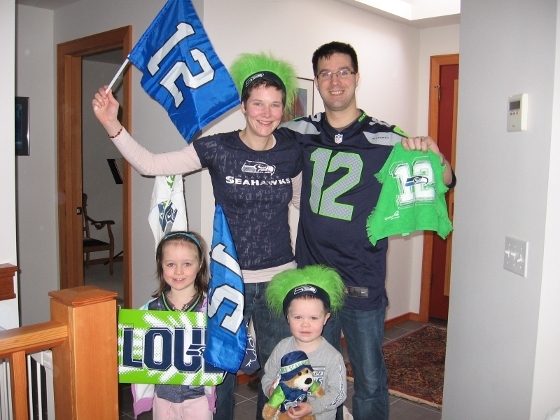 Yes...I have been a life-long Seahawk fan...which is not a lot different from being a life-long Canuck's fan (i.e. there has been a lot of losing and heart ache over the years). We are ready for the big game. GO HAWKS!! !